Why is Ramshackled the least well-known of the Yes solo albums? Is it possible to hear Alan White’s influence? What style is the record? Thanks to Mark Anthony K, we both managed to speak to Billy Sherwood and I’m releasing this episode on Chris Squire’s birthday. Billy talks a lot about his memories of Chris as well as his experience of playing with Yes and his new album, Citizen. There is also a review from Mark Anthony K of Keys to Ascension I and a lovely recording of Deidre Nelson who is the partner of Yes author, David Watkinson. It’s a lovely and unusual way to experience Jon Anderson’s lyrics. Is Billy looking forward to playing Drama and Fragile? What is the new album, Citizen, all about? What was it like to be part of Chris Squire’s last recording? After fantastic encouragement from listeners, this is the re-boot of the YMP. I am hoping to press onto episode 200 and beyond! Thank you to everyone who voted in the poll. Thank you to everyone who got in touch. 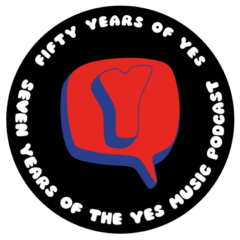 The one hundred and fifty third episode of the Yes Music Podcast featuring a fresh look at the 1974 studio album, Relayer. Part 2 is about the first track, Gates of Delirium. What is the track based on? How deliberate is the ‘story-telling’ aspect? Does the radically different approach work as a Yes piece? Listen to the episode and then let me know if you agree.